Presenting a great example of Vue's capabilities in combination with Bootstrap and other libraries. 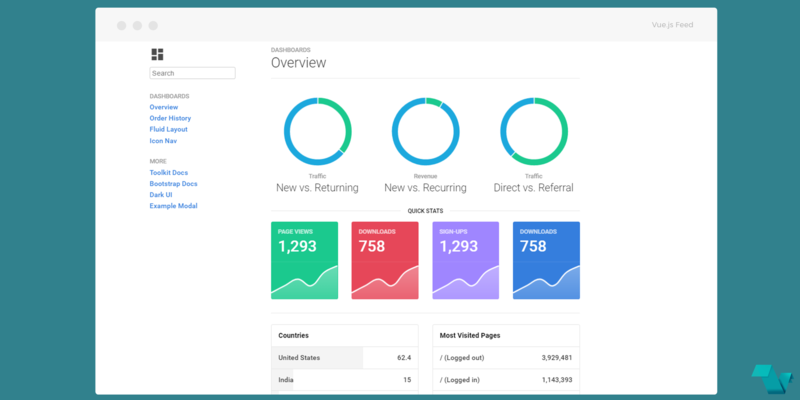 The Vue Dashboard Template is a rapid prototype of the Bootstrap v4 Dashboard Template along with Vue, Tachyons CSS toolkit, and Chart.js. With the help of these tools and these libraries you get an analytics dashboard in a simple form as a codepen. 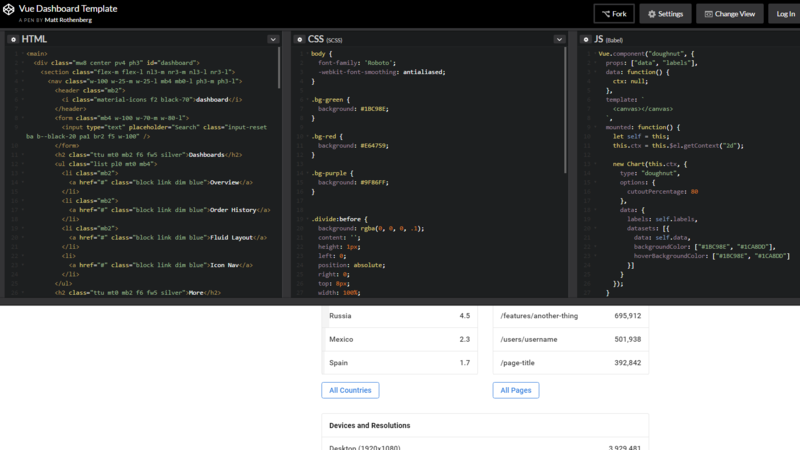 If you go through the code (in editor mode on codepen), you can see the registered components used to create the graphs and panels, doughnut, sparkline, metric-list-item. Links on the side bar, search field and buttons are just for showcasing, but you can hover over the pie chats and other elements to see additional information.